Lola B. Sims was born October 28, 1931 to her parents Alex and Minnie Sims in Choudrant, LA. Lola accepted Christ at an early age at Gumspring Missionary Baptist Church. Later, Lola married Curtis Lewis on March 12, 1949 and to that union, nine beautiful children born, Edna Curry, John (Joyce) Lewis, Linda Lewis, Joanne (Frederick), Leonard Lewis, Dennis Lewis, Teddy Lewis, Carlas Carter, and her devoted baby girl, Angela Lewis. Lola worked as a babysitter for many years until she lost her sight in 1983. Losing her sight taught her how to be independent and maintained her confidence in God and Prayer. She was member of New Hope Baptist Church under Pastoral Leadership of the late W.W. Grover and became a member of New Community Baptist, under Pastoral Leadership of Richard Gillis. 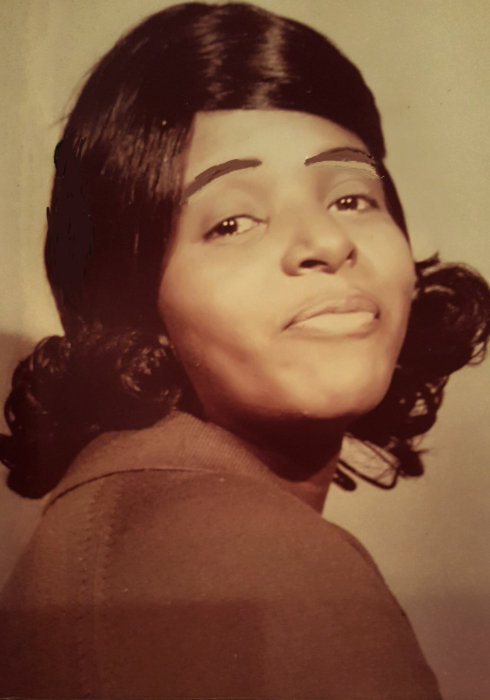 Lola B. Sims was blessed and loved by her family. She was preceded in death by her loving parents, Alex and Minnie Sims; beloved siblings Bertha (Bert), Vada (Noon), Hazel (Kooda), and Grady, all of Louisiana. She leaves to cherish her memories her children Edna Curry of Ruston, LA, John (Joyce) Lewis of Dallas TX, Linda Lewis of Hammond IN, Joanne (Frederick) MerKerson of Hammond, IN, Leonard Lewis of Hammond, IN, Dennis Lewis of Indianapolis, IN, Teddy Lewis of Hammond, IN, Carlas Carter of Plainfield, IN, and her Devoted baby girl, Angela Lewis, Hammond, IN. ; one remaining sister, Jessie B. Sims of Hammond, IN. ; 15 grand-kids, and 17 great-grand kids, and host of nieces, nephews, relatives, and friends.